Throughout Louisiana and the Gulf South, Pelicoin ATMs make it safe and easy to buy Bitcoin and other popular cryptocurrencies. Our specially designed machines allow you to make everyday transactions with Bitcoin (BTC) as well as Litecoin (LTC) and Ethereum (ETH). This machine can be found in Sam's Unique general store on Royal Street in the French Quarter, only a block away from Hotel Monteleone and half a mile from Jackson Square. The benefits to buying Bitcoin and other cryptocurrencies are nearly endless. If you value privacy, there's no better way to keep your identity, personal information, and transactions private. You can also reduce your dependency on physical currency carried in a wallet or held in a bank by converting cash into cryptocurrency. Even issues such as fraud or theft are virtually eliminated when using Bitcoin, Litecoin, or Ethereum. Whether you want to use cryptocurrency for the first time or the hundredth time, Pelicoin's Bitcoin ATM network makes every transaction simple and secure. Pelicoin's state-of-the-art ATM machines work the same as any other ATM, taking any daunting tech out of the equation. We know that just because you want to buy digital currency doesn't mean you only want to operate online at your home. Our machines are conveniently located throughout the Gulf South, and we plan to continue rolling out new machines to meet growing customer demand. You'll find our New Orleans Bitcoin ATMs located in friendly, trusted stores that are open late or 24 hours a day for your convenience. 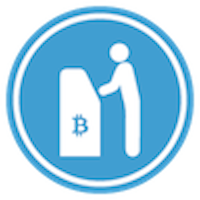 Safe, secure transactions are just a few clicks away at your local Pelicoin Bitcoin ATM.